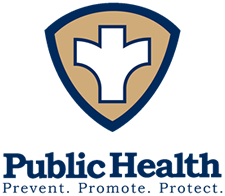 Perry County Health Department provides immunizations to both children and adults. Parental permission is needed for all children under the age of 18 for them to receive the immunizations. Also, if the child/children have not received all their immunizations from the Perry County Health Department, you will need to bring along the child/children's immunization record and insurance card if applicable. The Perry County Health Department currently is contracted with Vaxcare, a company that supplies vaccines and submits the billing to the individual's insurance company. It is the responsibility of the client to understand their insurance coverage regarding vaccinations. There are many different policies out there and their coverage varies. Your insurance company should provide you with a summary of coverage. We also have available vaccines provided by the "Vaccines for Children's Program" which is available to children 18 years and under who are on Medicaid, have no insurance, or underinsured. Underinsured individuals are those who have insurance but does not cover vaccines or certain vaccines. Having a deductable does not qualify as underinsured. Immunizations are given on Mondays and Thursdays, 8:00 AM - 5:00 PM. No appointment is needed but it is preferred to be by at least 4:30 to allow time to gather information. A late clinic is held until 6:00 PM on the 1st Monday of each month. We are closed on holidays. Pneumonia shots are made available year round on immunization days listed above. Flu shots are usually made available in fall of each year. For a Recommended Immunization Schedule check out the CDC website or contact the Health Department. Immunizations are given in accordance with the Missouri Immunization Schedule and in accordance with the Missouri Dept. of Health, American Academy of Pediatrics Red Book, Center For Disease Control (CDC), and Advisory Committee on Immunization Practices. With funding made available through the Senior Services Tax Commission, the Perry County Health Department has implemented the Shingles Vaccination Project. If client has either Medicare Part D or Humana Insurance that pays all or a portion of the cost of the vaccine and administration, the Perry County Health Department will bill for the amount their insurance covers and the Shingles Vaccination Project will pick up the remaining costs. Medicare Part D and Humana are the only insurances that the health department can currently bill. If the client does not have Medicare Part D or Humana, the client is asked to contribute 50% of the cost. The Shingles Vaccination Project will cover the remaining costs. If client has either Medicare Part D or Humana Insurance that pays all or a portion of the cost of the vaccine and administration, the Perry County Health Department will bill for the amount their insurance covers and the client will be required to pay co-payments and/or deductibles. If the client does not have Medicare Part D or Humana, the client will be required to pay the full charge. No client who meets the residency stipulation will be refused service due to inability to pay. While it is true that some diseases are becoming rare in the United States, it is important to keep vaccinating. Diseases that are almost unknown today could stage a comeback. Before long we would see epidemics of diseases that are nearly under control today. Vaccinations don't just protect your children; it also helps protect children that may be too young to be completely vaccinated or someone who may not be able to receive certain vaccinations due to severe allergies, weakened immune systems from conditions like leukemia, or other reasons. To help keep them safe, it is important that you and your children who are able to get vaccinated are fully immunized. This not only protects your family, but also helps prevent the spread of these diseases to your friends and loved ones. Can I still get my child vaccinated at the local health department? The answer to this is yes. While guidelines on the use of federal vaccines (free vaccines) have been tightened, you can still receive vaccines at the health department.